Jay Ong, Vice President of Games at Marvel, is spearheading the new initiative of making great console games at Marvel. 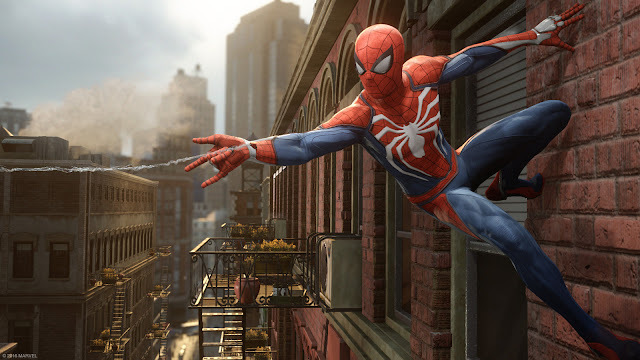 After the reveal of Spider-Man at Sony's E3 press conference, Ong has been vocal in discussing the studios plans. "I came to Marvel almost exactly two years ago. When I came in, I had a mission. We had one of the greatest treasure troves of superhero characters and stories in the world, and we needed to make incredible, epic games with them." "The emphasis was on this obsession with quality. And more than quality, certain things like—this has to be better than just good enough. It has to be great. Our games have to have lasting value that we’re all proud of. Part of it involved being very discriminating in who we partner with. This is a case in point. Sony and Insomniac are two of the best game companies on earth, from the publishing side and from the development side. Picking the right partners was the key." "It was also finding a franchise-driven and character-driven approach to products, as opposed to one-offs. Making sure we made these franchises sustainable. That gives developers more creative freedom. Going away from movie games was a big pivot. Those just didn’t work for us in the past. The idea of creating original storylines, giving the developers the freedom to create something new—from a creative standpoint that’s liberating for our partners. And for us it results in great games." The future sure looks bright with these new initiatives in place. Marvel has a cast of heroes and villains that are ripe for home consoles. The Arkham games have already proven that given enough time and quality development, great things can happen with superhero games. Hopefully we'll see more Marvel characters make the leap.